Nathan Fillion is a rarity in this business: personable, genuinely friendly and truly enjoying his job. Actually, to fans of ‘Castle,’ I think it’s obvious that everyone on that set is enjoying themselves. This season started off with a bang, but it’s about to get even better — and a little steamier. Considering that steaminess isn’t coming from a Castle-Beckett hookup (quite the opposite actually), here’s hoping those fans will be along for the ride. 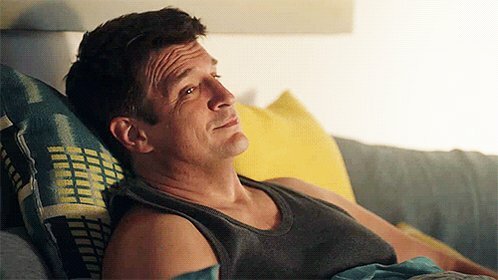 I caught up with Fillion to talk about double rainbows, feeding the birds and the “meta” of ‘Castle,’ then he explained why fans won’t be disappointed with Castle and Beckett’s new loves. He also rattled off an awesome list of all his dream guest stars. Hey ‘Firefly’ alums, you in? I thought Twitter would explode the other week when Castle said “double rainbow” on the show … whose decision was it to throw that in there?